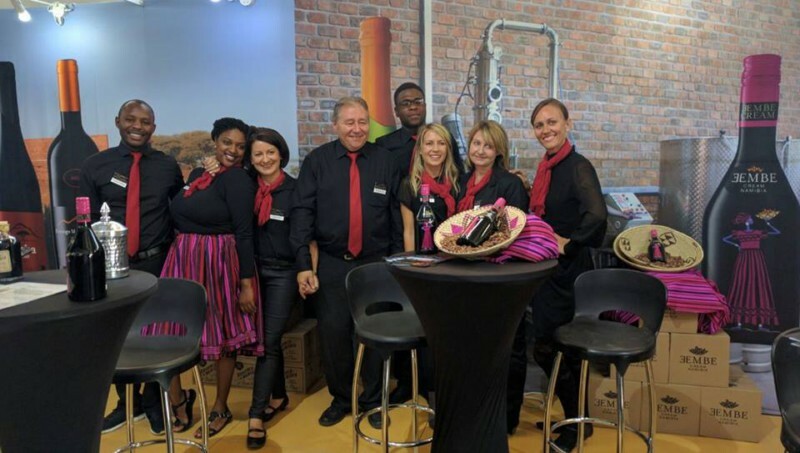 We recently had our ‘debut’ at the Namibia Tourism Expo in Windhoek. It was a great opportunity to showcase our collection to the public and give out tasters to the curious crowds that flooded in over the four days of the exhibition (18 – 21 May 2016). Each day was more successful then the last, it was often a challenge to keep up with all the customers who either wanted to taste or buy our products, sometimes boxes at a time! We couldn’t have been happier about the success of our stall and how well we were received by the public. Many Namibians are now happy that we finally have a product to call ‘our own’ such as the Eembe Cream made from the indigenous Eembe fruit that has a very special place in the hearts of Namibians. It was one of our best-sellers and a favourite amongst the locals! One of the highlights of the expo was winning a “Silver” Award for our stand, we are so grateful to all those who voted for us. The end of the four days left us feeling tired but happy to have met so many appreciative customers that love our proudly Namibian products.